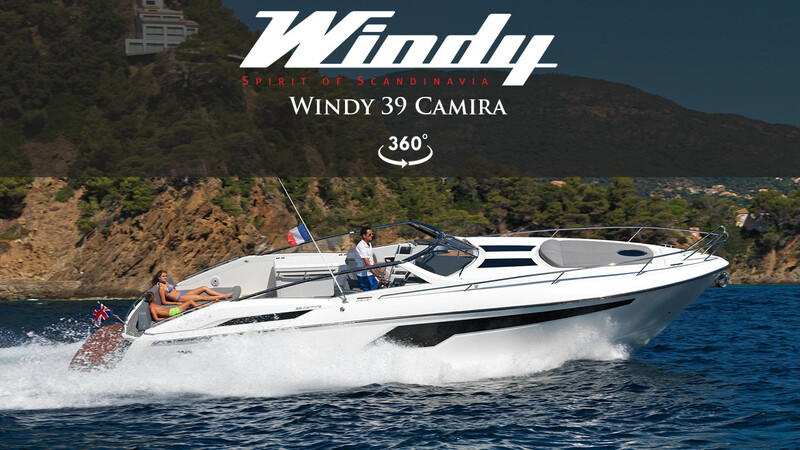 The Windy 39 Camira is enormously capable offering impeccable sea keeping and a truly refined driving experience. 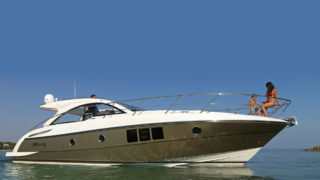 She is equally at home in the Mediterranean or fast trips across the English Channel. The interior was styled by Design Unlimited and includes two comfortable cabins and a generous shower compartment. The interior is carefully designed with plenty of storage and practical touches. Her expansive cockpit includes a large aft sun pad with moveable back rest and electric table as standard, with the option of an additional in-fill. The wet bar includes a 12v fridge, sink, space for an ice maker, electric bbq or ceramic hob.